Rainy day? Here in the Pacific Northwest we get a lot of them. But that’s actually one of the best times to visit the Zoo! Fewer crowds, cool animals and plenty of places to stay dry. Here are 10 ways to do it. 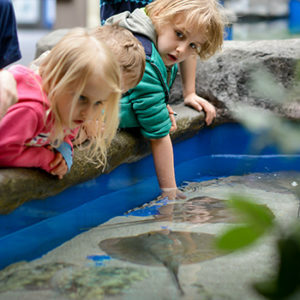 Our new Pacific Seas Aquarium is the perfect place for a rainy day: dry, warm and filled with incredible underwater animals. Gliding green sea turtles, swooping eagle rays, shimmying hammerhead sharks, flashes of vibrantly colored tropical fish, leggy giant spider crabs, art, play and so much more. 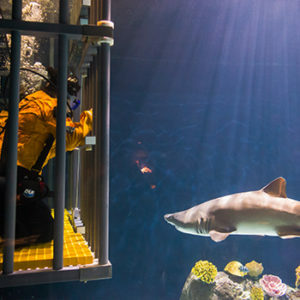 Immerse yourself, literally, with our 16 massive South Pacific Aquarium sharks on an Eye-to-Eye Shark Dive – or stay dry and watch them cruise. Find feeding times here. Yes, it’s safe! At Stingray Cove you can gently touch our dinner-plate-sized stingrays and small sharks as they swim by. Find feeding times here. Meet our animals up close – under shelter! 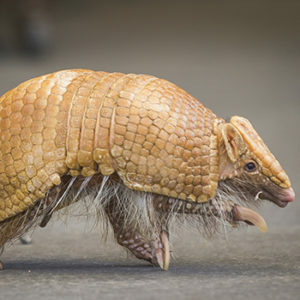 Eagle, anteater, lynx – you never know who’ll be on stage daily at noon at the Wild Wonders Outdoor Theater. Polar bear, walrus, slug – which will you ride? 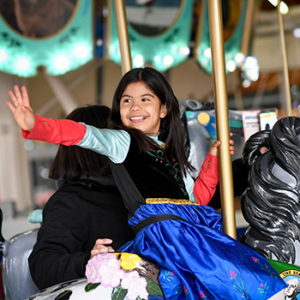 Our Paul Titus carousel was originally built in 1917, and features Northwest animals as well as horses. And it’s completely indoors! 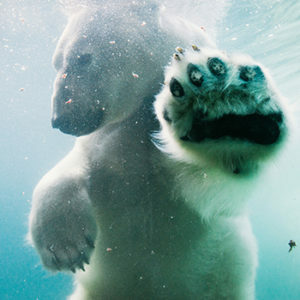 Go hand-to-paw with a polar bear from our underwater viewing window. He gets wet, you stay dry. Win-win! 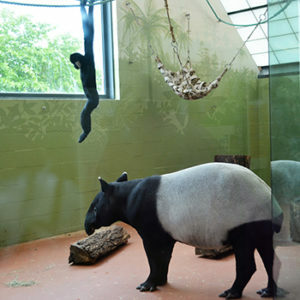 Our siamangs, gibbons, tapirs and tigers all love the Day Room, a warm indoor space in the Asian Forest Sanctuary habitat. Depending on who’s in there, it’s filled with hay, food or rope swings – and plenty of visitor space too. Can you climb like a spider? Hop like a wallaby? 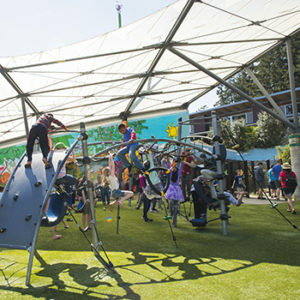 Burn off rainy day energy on the Kids’ Zone playground (partly covered), or stay dry spotting our snakes and frogs. They’re inquisitive. They’re fast. They climb and dig. 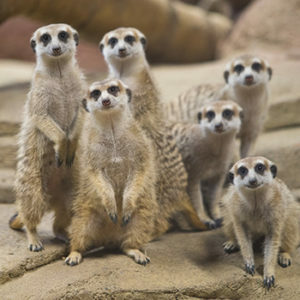 If this sounds like your kids, then bring them to meet our meerkats – indoors! 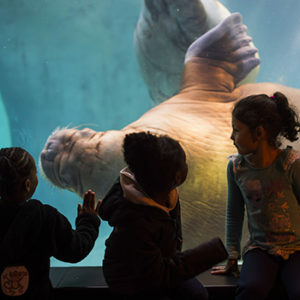 Stay dry and cozy watching the graceful underwater ballet of our three beautiful walruses. 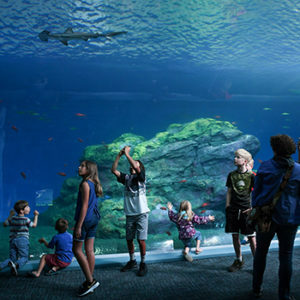 The underwater viewing area also lets you into the watery world of sea lions, harbor seals and sea otters – all without getting wet!